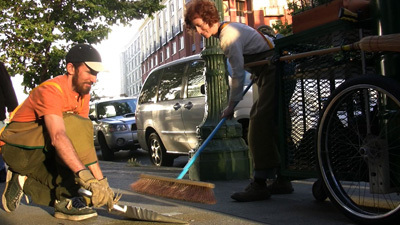 marksearch, a wife-husband cultural research team, creates interactive projects that invite people to reflect upon their local communities and increase their awareness of the natural environment within the urban fabric. Our site-specific projects emerge from a comprehensive process that weaves the needs and views of local agencies and the general public with the unique qualities of local history, the built environment, and the ecosystem. Through the development of kinetic vehicles, traveling signage, unconventional surveys, and official logos, we craft a much-needed conversational commons: the responses and stories that people on the street are inspired to share with us form our content. marksearch has collaborated with sociologists, media artists, students, urban planners, and various municipalities to create projects that move beyond art. marksearch has been working with a dedicated team of interns on 10,000 Steps: Darcie Luce, dancer, performance artist and anthropologist; Matthew Rana, social practice artist and writer; Liz Charnett, urban planner, writer, videographer. Old Oakland Neighbors is a neighborhood group founded in 2006 that embraces the growing number of new residents and merchants, while celebrating long-time Old Oaklanders who provide a critical link to the vibrant history of the area. Committees include Friends of Lafayette Square Park, Social/Events, Communications, and Community Benefit District Steering Committee. 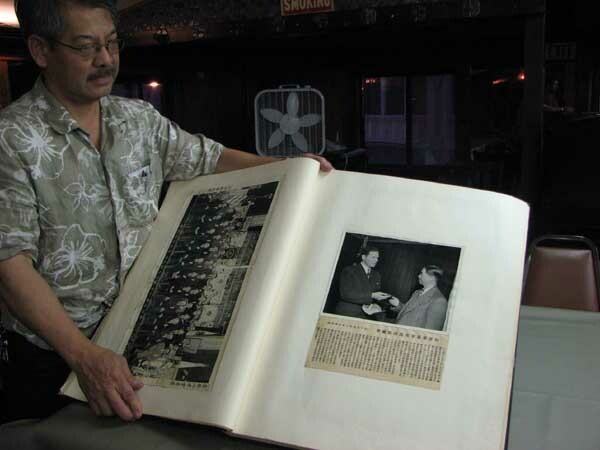 The Chinese American Citizens Alliance Oakland Lodge was founded in 1912 and is one of sixteen lodges across the United States. The CACA champions civil and immigrant rights, provides scholarships and leadership for our youth, promotes American patriotism, and participates in community services. 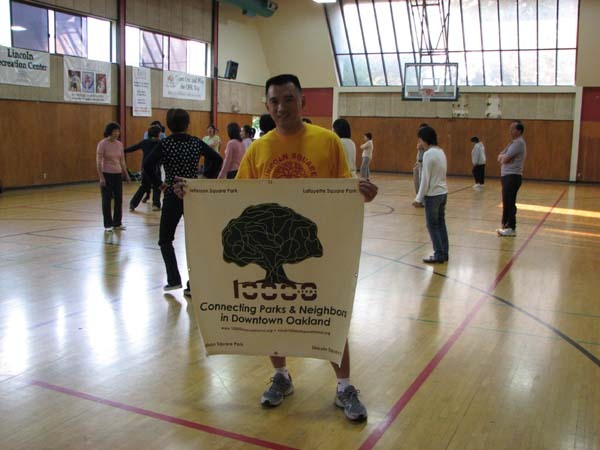 In addition, CACA Oakland Lodge sponsors many free programs at the Lincoln Recreation Center. Lincoln Park provides outdoor recreation, sports and a safe social hang-out for downtown teens, families, tots and seniors. Teens are the most numerous and frequent park users; the Rec Center staff provides them invaluable help dealing with social pressures and building their self-esteem. More than 1,500 people use the Rec Center on a daily basis. The Rec Center hosts a variety of sports, after-school programs and free movement-based classes for seniors. 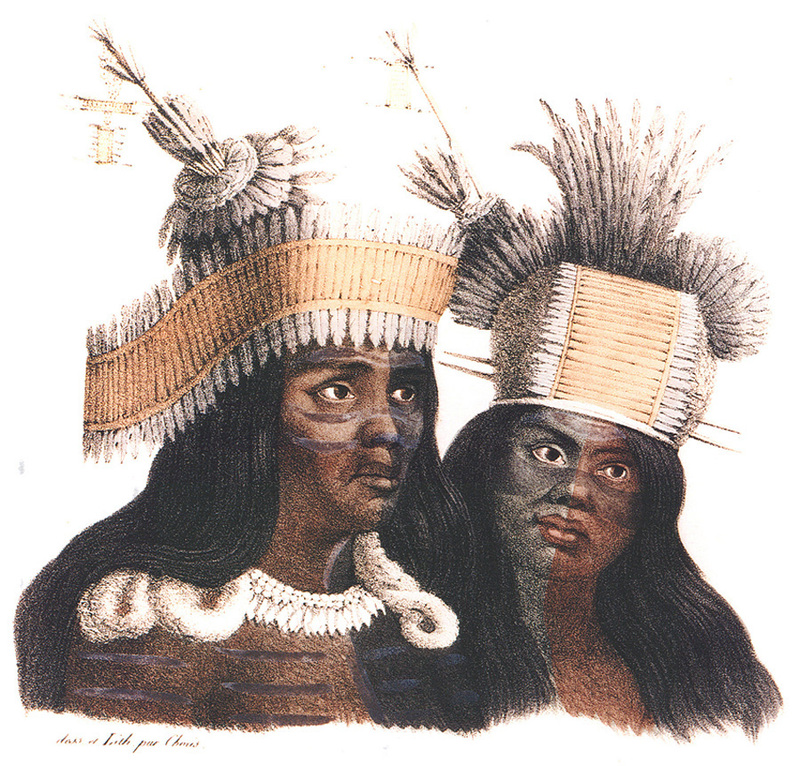 The present-day Muwekma Ohlone Tribe is made up of all of the known surviving American Indian lineages aboriginal to the San Francisco Bay region who trace their ancestry through the Missions Dolores, Santa Clara, and San Jose. This large contiguous geographical area, which historically crosscuts aboriginal linguistic and tribal boundaries, fell under the sphere of influence of the aforementioned three missions between 1776 and 1836. The present-day tribally enrolled Muwekma lineages are represented by many families. Mákkin Mak Muwékma Wolwóolum, ’Akkoy Mak- Warep, Manne Mak Hiswi! We Are Muwekma Ohlone, Welcome To Our Land, Where We Are Born! 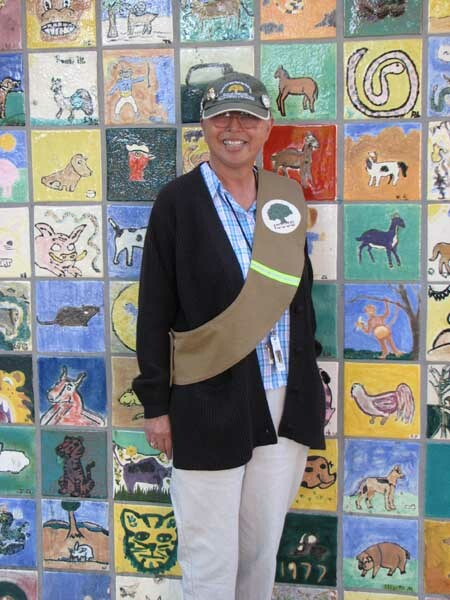 Friends of Oakland Parks, a small non-profit, works as an intermediary for many groups, programs or projects that develop and expand recreational, horticultural, educational, and cultural opportunities in our local parks. 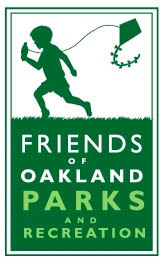 Friends’ mission is to improve the quality of life for all Oakland citizens by generating funding and support for projects and programs that enhance recreational, environmental, educational, beautification and leisure activities offered through the Office of Parks and Recreation. 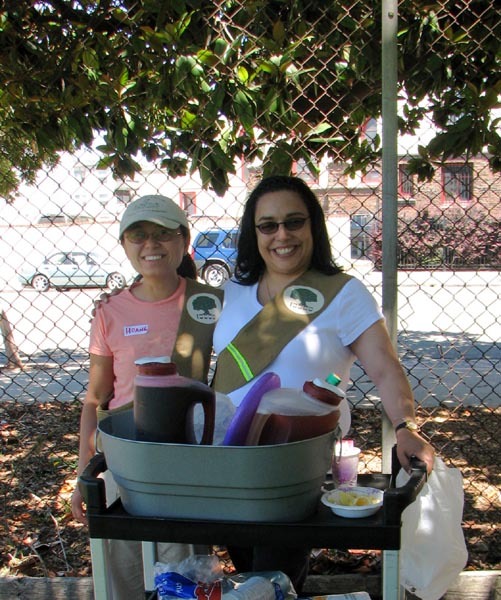 We are committed to serving as an advocate for Oakland’s parks, recreation centers and public lands. Matt Dibble has worked in the field of documentary production since 1984. His training as a visual artist greatly influences his approach to his work. He founded Dockyard to create original programming for television, as well as media installations for exhibitions. He has collaborated with dozens of producers on award winning programs as an editor and cameraman, and has tackled a wide range of documentary topics. He co-wrote and edited "The Mystery of Chaco Canyon," a one-hour show about the astronomically-aligned architecture of the ancient Pueblo Indians that aired nationally on PBS. "Rising Waters" explored the impact of global warming on the islands and communities of the South Pacific. Currently, Matt Dibble is working with producer Andrea Torrice on "New Metropolis," a Ford Foundation-funded 2-part program for PBS on the history and politics of suburban sprawl.